Cheer for the athletes in 2012 London Summer Olympics Game. After four years' waiting, finally the 2012 London Olympics Game is closely coming, there are less than 24 hours left. Excitedly, this big sports event will officially take place in London, United Kingdom tonight. This night tens of thousands excellent athletes from all over the world will get together in London Bowl, the main stadium of 2012 Olympics Game, to celebrate this worldwide festival. In the following month, they will try their utmost to fight for a spot on the historical list of Olympics champions. As sports funs, we all hope to take part in this great sports event to enthusiastically cheer for the athletes we support. For those who can't present in Olympics stadiums to yell for athletes' excellent performance, there are also various ways for them to express their supports. For example, currently Page Turning Maker company releases some new software themes about London Olympics Game for users to design attractive page turning book to liven the sport games up, or you can do it by yourselves to design your own themes to support your favourite sport stars. Moreover, during the Olympics Game more Olympics themes will be released, please keep attention to this. Hurry up! Do never miss this worldwide festival. 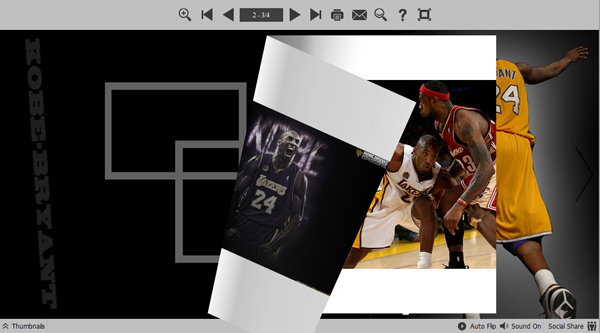 When athletes are hard competing, you can demonstrate your talent in designing to create wonderful page turning book, magazine, photo album for your favourite athletes at the same time.